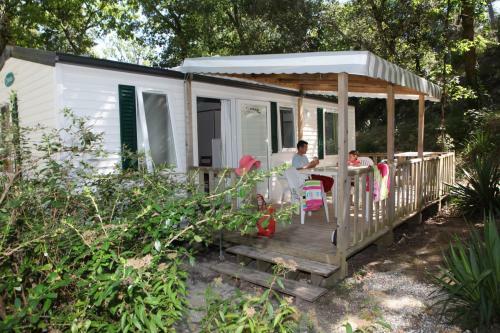 The mobile homes ESPACE, spacious and comfortable, are suitable for 6 persons. They are equipped with a big, half covered terrace with garden furniture. For your privacy: three bedrooms, one master bedroom with a bed of 140x190 and private bathroom/toilet, 2 other bedrooms with 2 beds of 80x190 each. Bathroom and separate toilet.